The Texas Supreme Court on Friday upheld the state’s ban on direct corporate campaign contributions, denying a challenge from a Tea Party group that called it unconstitutional. In the unanimous opinion, Texas’ highest civil court also upheld state requirements that campaigns report contributions and expenditures, and ruled that private groups can sue over alleged violations. The long-running case highlighted “the tension between the warp and weft” of First Amendment rights and state powers to regulate elections, Justice Eva Guzman wrote in her majority opinion. In 2010, the Texas Democratic Party sued Houston-based King Street Patriots, accusing the Tea Party-backed group that trained poll watchers of “1960’s style” intimidation during voting. Democrats called the group a “sham domestic nonprofit corporation” used to funnel support to Republican candidates, and alleged the group violated state campaign finance laws by illegally accepting and spending political contributions that it failed to disclose. King Street Patriots, which called itself a “group of concerned residents from the Houston area,” countered that it formed to “provide education and awareness [to] the general public on important civic and patriotic duties.” It denied being a “political committee” bound by Texas election law and denied making political contributions or expenditures. 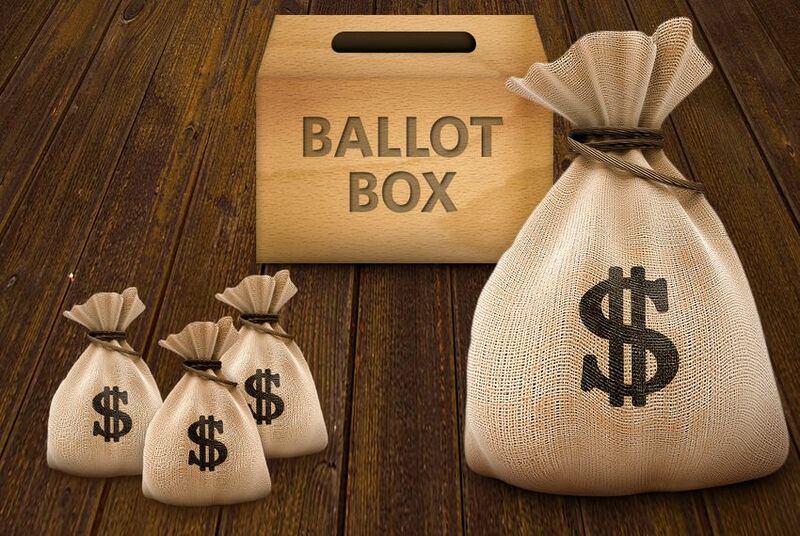 Further, the group filed a countersuit challenging a slate of state campaign finance laws, calling them an unconstitutional assault on the right of political association. On Friday, the Supreme Court resolved the broadest questions in the case, upholding the state's ban on corporate contributions, laws creating disclosure requirements and the right to sue over alleged violations as constitutional. The King Street Patriots sought to further upend Texas election laws in the wake of a 2010 U.S. Supreme Court ruling — known as Citizens United — that removed state and federal restrictions on how much corporations and unions can spend in campaigns but left intact restrictions on direct donations to candidates. “Our role is simply to 'say what the law is,' not prognosticate how the law could change,” Guzman wrote. Chad Dunn, an attorney for the state Democratic Party, called the ruling "an important victory." Some questions in the case remained unresolved Friday, such as the Tea Party group's narrower challenge to the state's definition of a political committee. The justices ruled that King Street Patriots was not a "political committee" under Texas law, based upon the "limited record" before the court, a determination that could change if Democrats presented more evidence. Catherine Engelbrecht, who founded King Street Patriots and a separate group called True The Vote, said Friday she needed more time to digest the ruling before commenting. Clarification: This story has been updated to more fully explain a piece of the court's opinion dealing with the state's definition of a political committee.